Spending your vacations in Lanzarote? 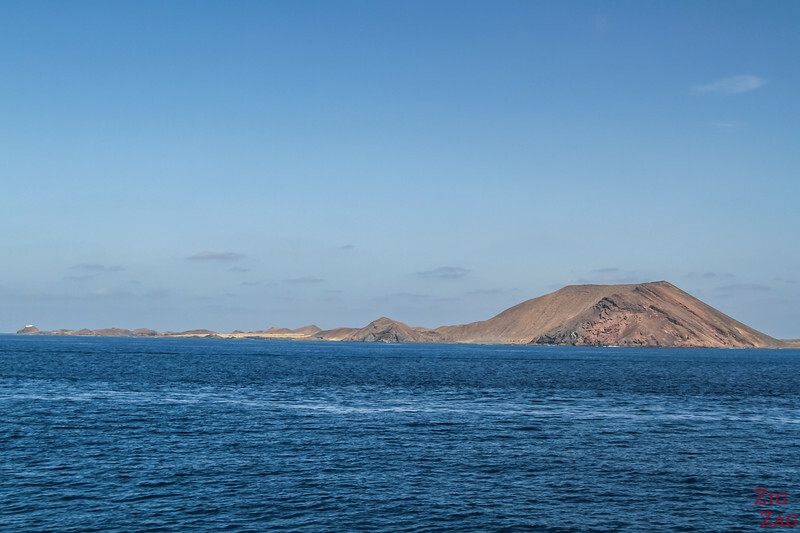 Wanting to see more of the Canary islands? 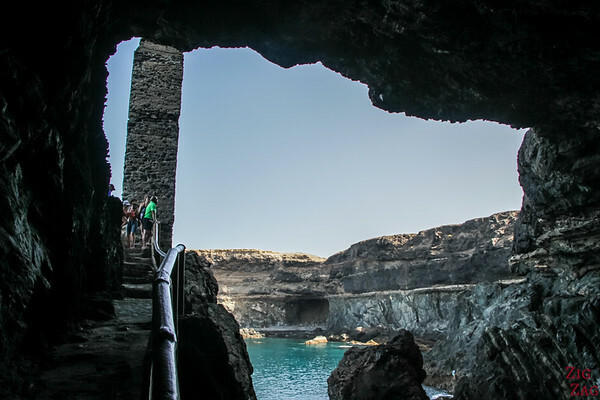 A Lanzarote to Fuerteventura Day Trip is a great adventure to see another style of living and different landscapes. Below is my guide to help you plan your excursion for one or several days. 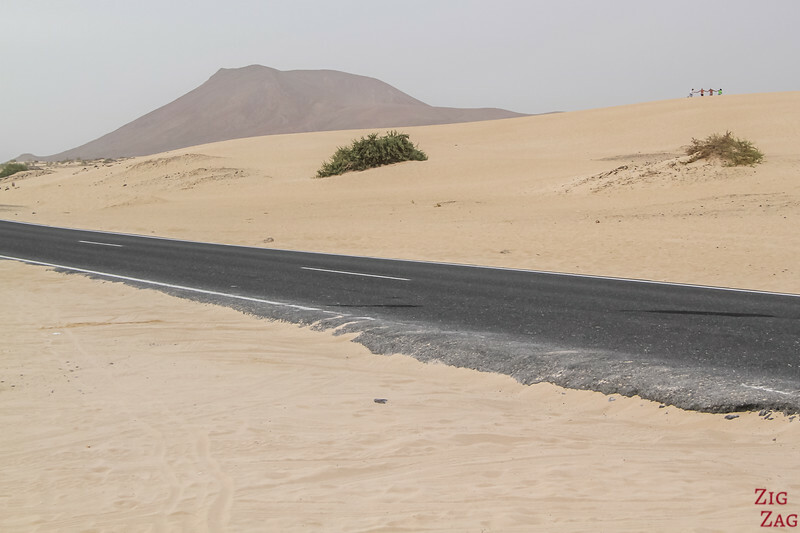 Lanzarote to Fuerteventura Day Trip - Is it worth it? 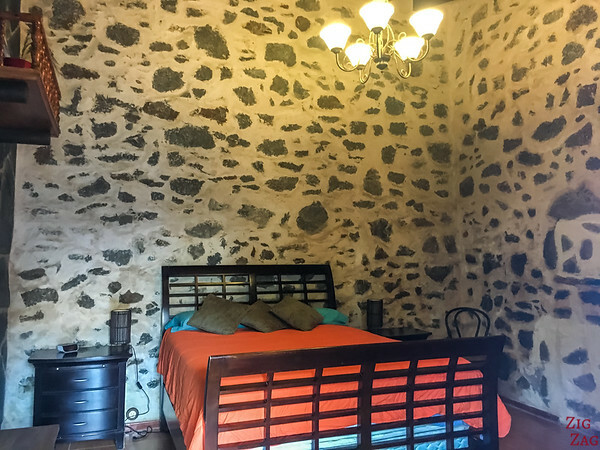 First of all, some of you might be wondering if it is even worth it to head to Fuerteventura for the day while on vacation in Lanzarote. Both islands are very close to the African continent and have the same weather. Some people say they are quite similar. Compared to other canary islands they may be true, but I think they are quite different and that a day is interesting to discover different landscapes. Even if just touring the North of the island you can see a large sand dunes natural park and drive in mountains. This is scenery you will not see in Lanzarote. 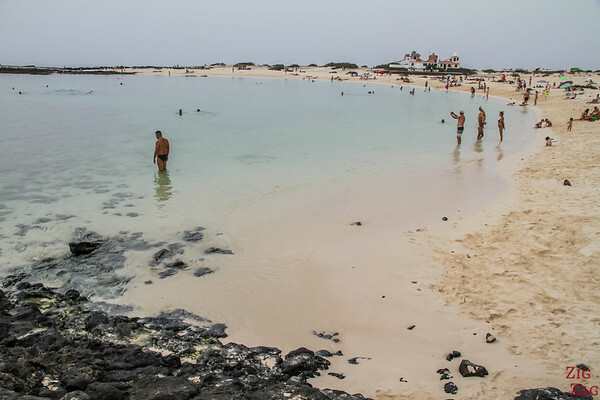 You can learn more about differences on my article about Lanzarote of Fuerteventura. 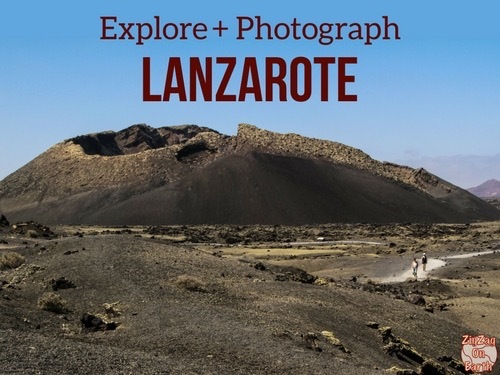 I think if you only have one week in Lanzarote and it is your vey first time there, there is already way enough things to do on that island. It might be too much to do a long day trip to Fuerteventura. 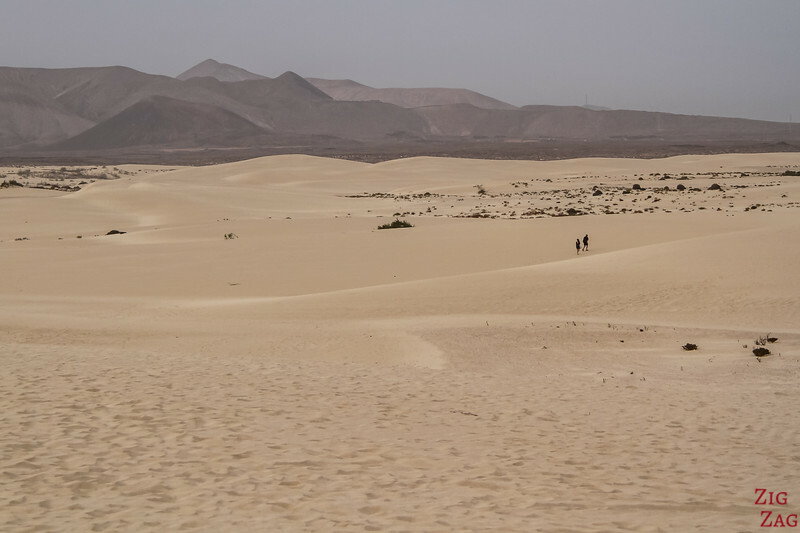 However if you are staying over a week or like me absolutely love sand dunes, then an excursions to Fuerteventura is fantastic idea. 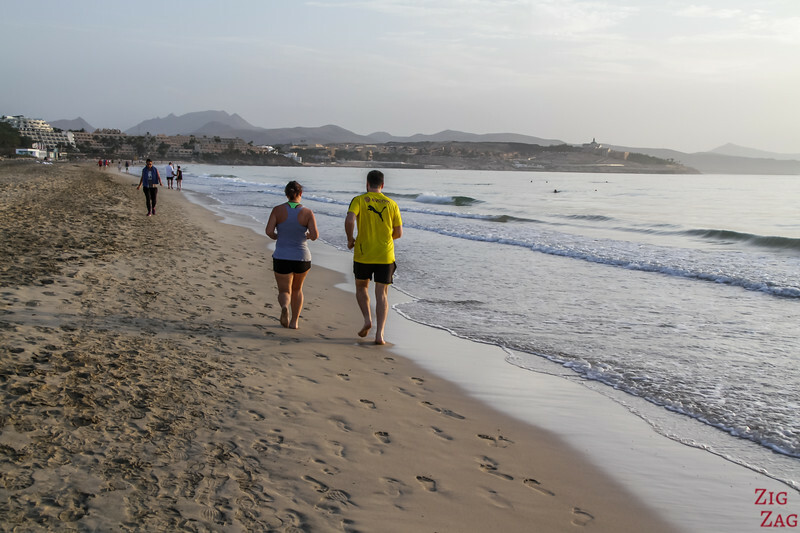 If you are not renting a car in Lanzarote and staying at one of the resort towns, companies a running days trips to Fuerteventura. You just have to sit back, relax and follow the guide. 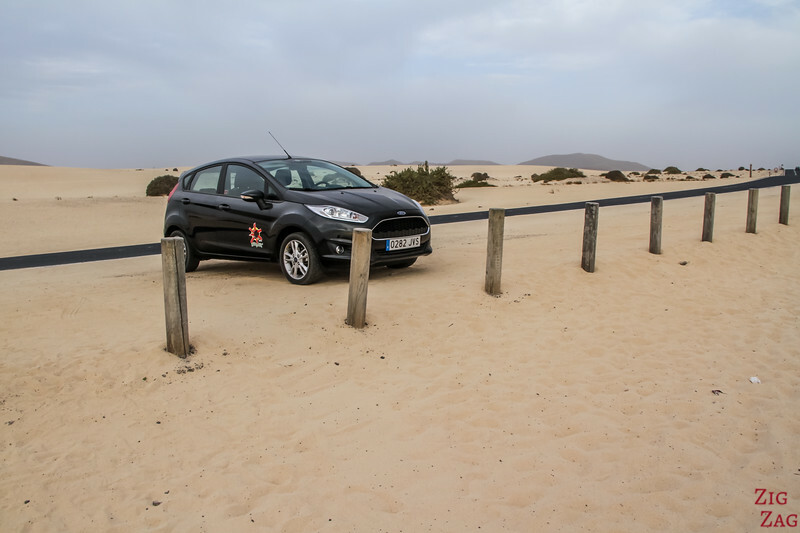 If you are renting a car in Lanzarote you may want some freedom to move around Fuerteventura as well. 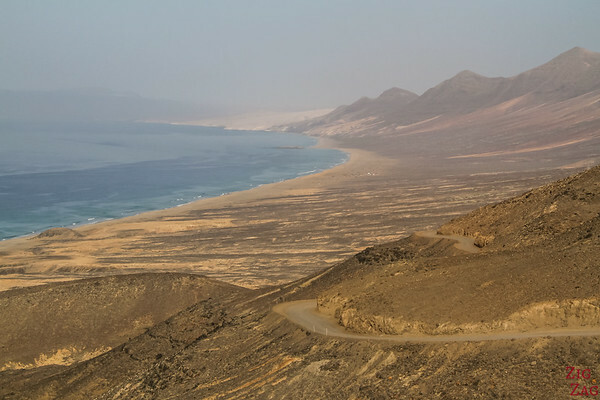 Driving in Fuerteventura is as easy as driving in Lanzarote. The mountain roads are wide enough and not too dizzying. 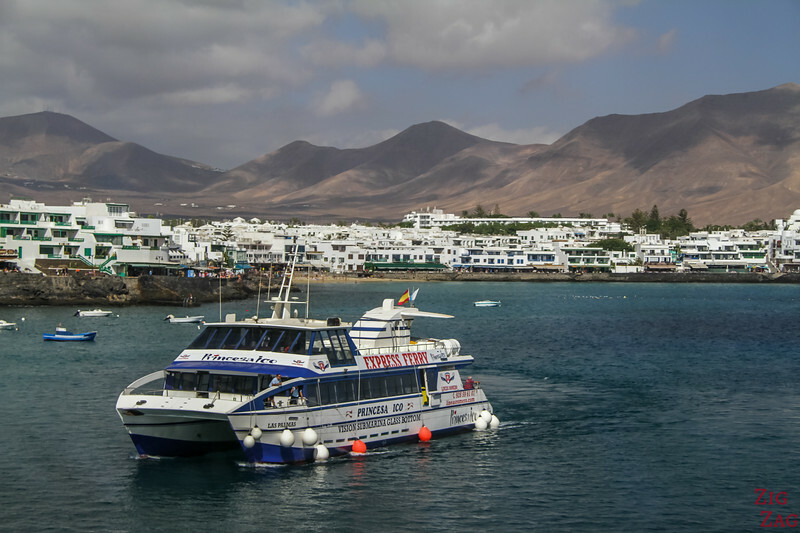 So the main option to get from Lanzarote to Fuerteventura is to take the ferry in Playa Blanca and arriving in Corralejo. This is the shortest distance to cover on water. If you are not travelling by car, you can take the smaller and faster boat. it is called the express ferry. Some even have glass bottom if you want to see the fish and inside the ocean. It is an enjoyable way to cross. There are also 2 companies running bigger boats in which you can enter your car. The trip is slightly longer but the boat is also way more comfortable with great comfy chairs and lounges. 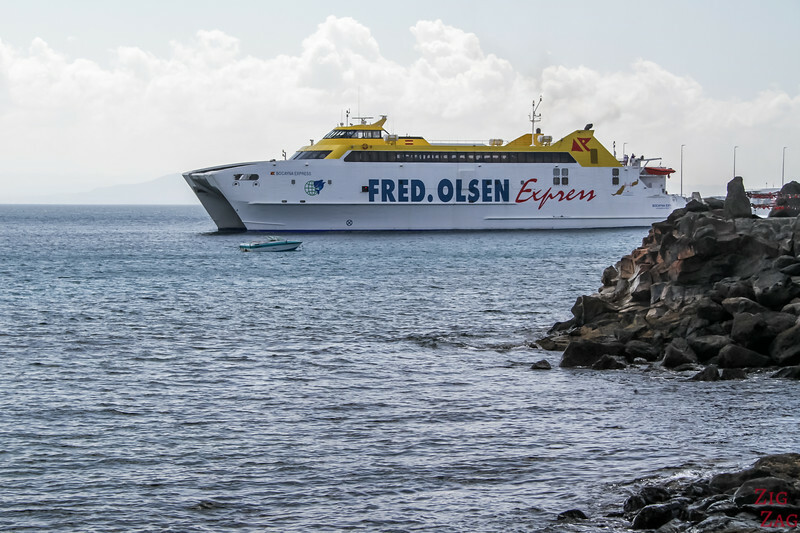 The photo inside is from a Fred Olsen car ferry. It was really clean and enjoyable. 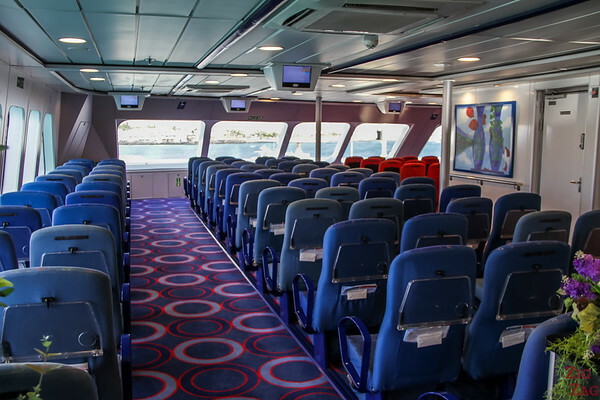 During the ferry ride, you can just relax inside or you can enjoy the outside deck to admire the view. Since the distance is so short, there is always something to look at. 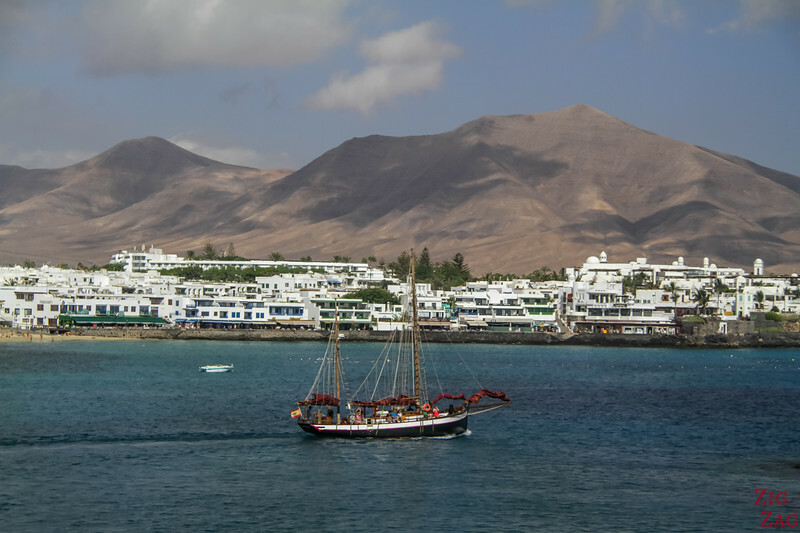 As you float away from Playa Blanca Lanzarote, you can appreciate the white of the buildings against the bare brown of the land behind. I love such contrasts, don't you? Shortly after the ferry pass not far from the magnificent small island of Lobos. I love this small island (check out my article and pictures). 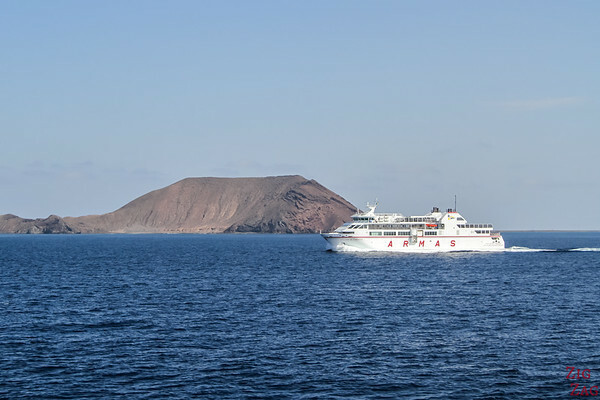 The advantage is that from the ferry you can see the whole length of the island with the large volcano at one end and the lighthouse at the other. 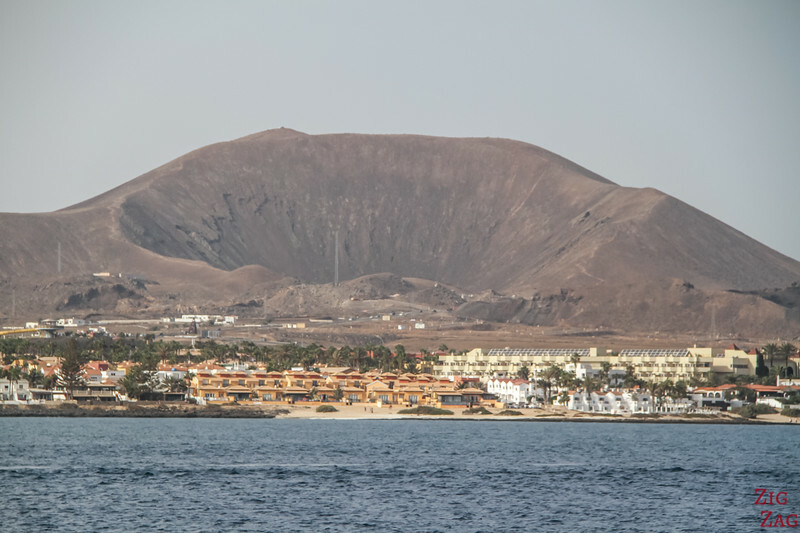 The arrival in Corralejo is quite impressive too with the large volcano crater in the background (Volcano Bayuyo). And then you notice that the houses have colours. On Lanzarote, thanks to the work of Cesar Manrique, the architecture has been preserved and all you can see is white (except in Arrecife). But such thing did not happen on Fuerteventura and you can see big buildings of all styles. 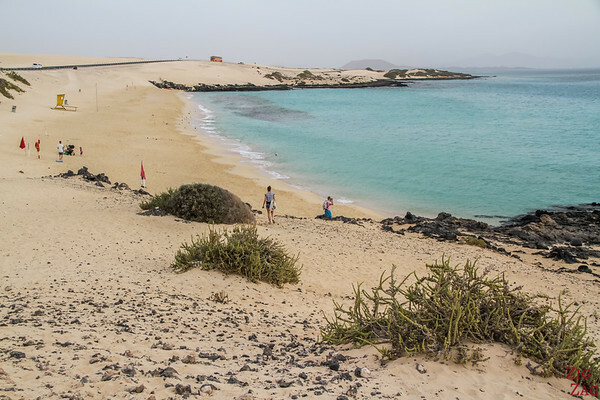 Your first option is a Lanzarote to Fuerteventura day tour that focusses on the town of Corralejo and the famous sand dunes. This way the day is not too intense and does not keep you inside a vehicle too long. 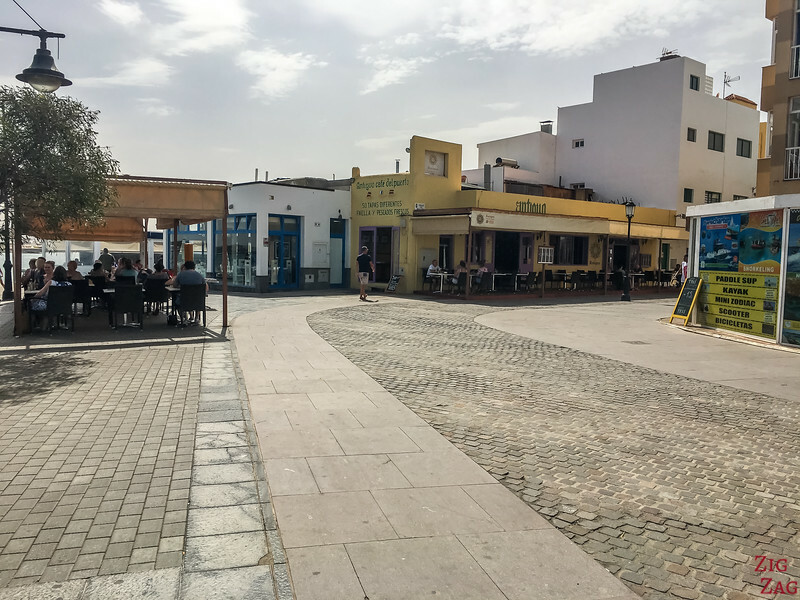 You start with free time in the town of Corralejo with it charming harbor and shops. 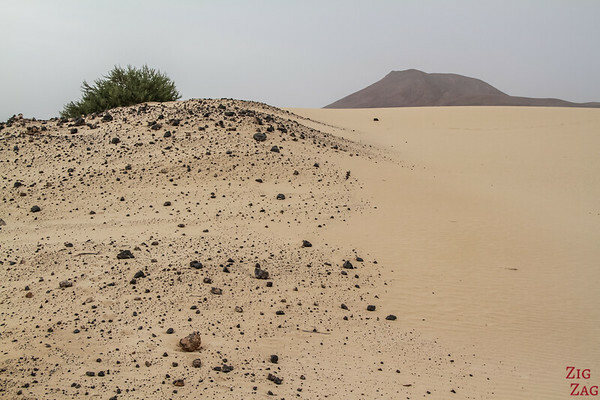 Then you head to the famous sand dunes of Corralejo Dunes Natural park. 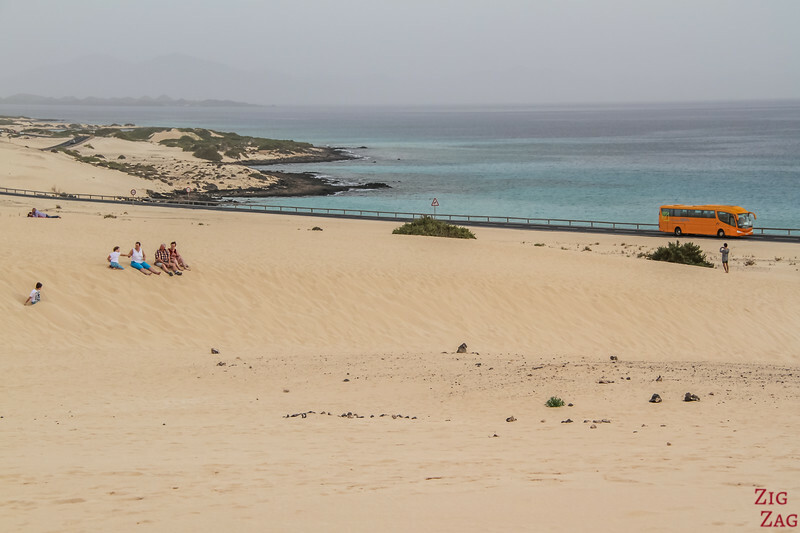 It is only a very short drive from Corralejo. There are difference places to see. At the beginning the road is distanced from the water and you have dunes to reach the beach. but further South the road get right by the beaches. So when your transportation stop you can spend some times lost in the dunes on one side or refreshing by the water on the other. If you don't mind spending more time inside a vehicule, I think the last option is great. 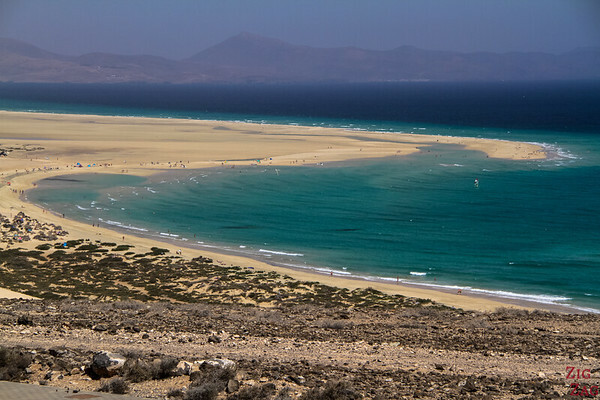 It is one that gives you a better idea of what Fuerteventura looks like. And it will give you a big change of scenery from the volcanoes in Lanzarote. 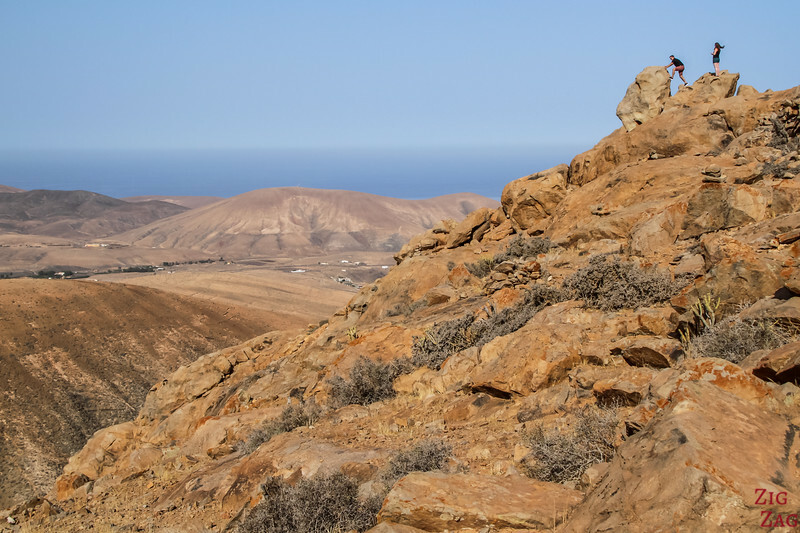 You will enjoy the stunning drive in the central mountains of Fuerteventura with beautiful soft shapes and nuances of oranges, yellows and browns. ou will stop at at least one of the viewpoints. 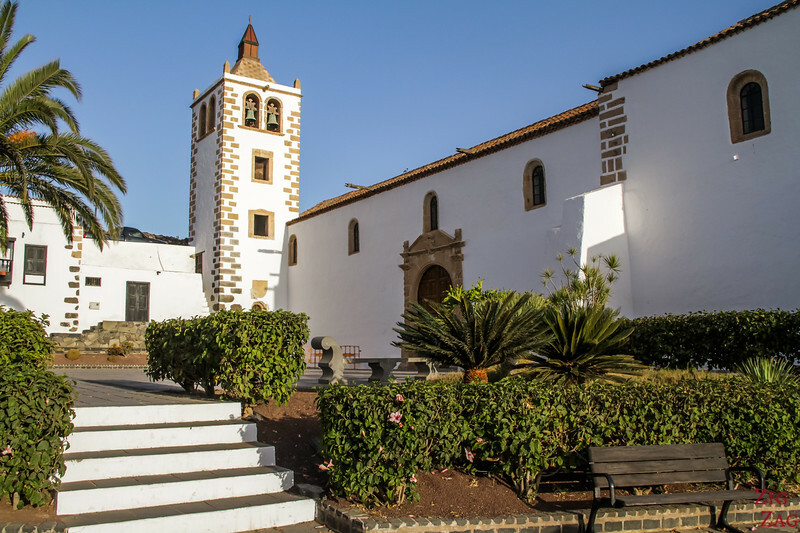 You will be able to visit the original capital of the Canary islands - a small village called Betancuria. 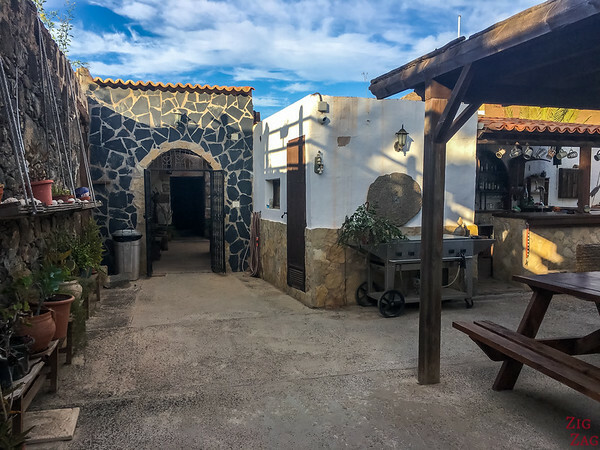 It is really charming with typical Canarian architecture. And you will finish with the magnificent sand dunes of Corralejo. A nice overview of North Fuerevntura. 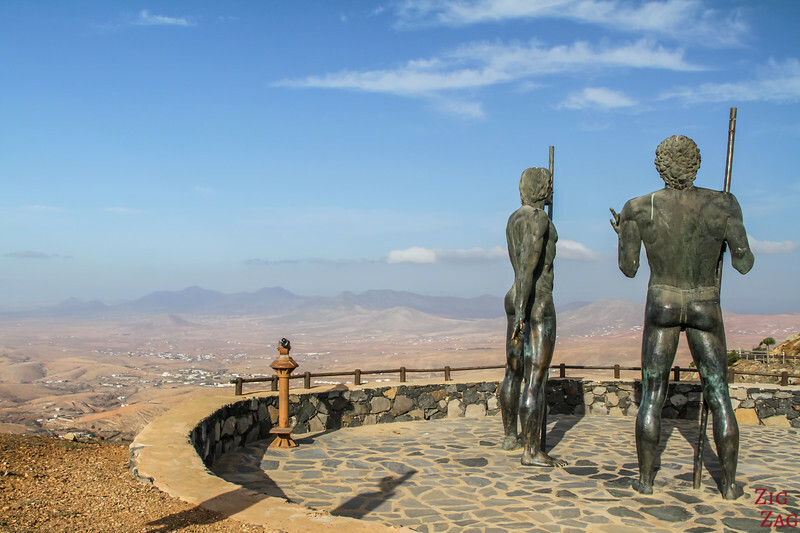 history lovers will stop in Betancuria, the original capital city of the Canary islands. while beach lovers will appreciate El Cotillo in the North and the lagoon of Jandia in the South. You can find 19 suggestions about Fuerteventura in my eBook. The map will facilitate the planning of your trip!